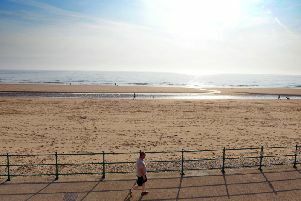 The weather in Sunderland is set to be a mixed bag today, as forecasters predict sunny spells throughout the day, alongside below freezing temperatures, icy conditions and frost. A Met Office yellow weather warning for ice is in place for Sunderland until 11am today, with snow also set to hit Sunderland this week. This morning will see sunny spells throughout the morning, but it will remain cool, with a temperature of -1. This will increase slightly through the morning, reaching 1C by 12pm. This evening will become quickly dark, but remain dry, with the temperature dipping to -1C by 9pm. Snow is set to hit Sunderland in the early hours of tomorrow morning, with sleet forecast from 2am to 3am, before snow hits from 3am to around 5am. The rest of the day will then see a mixture of sunny spells and cloud, with a maximum temperature of 3C and a minimum temperature of 0C.